Slat Rubber for Cattle and Cows. 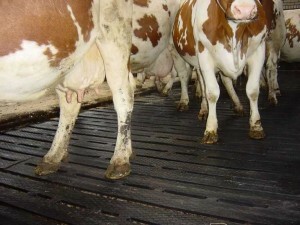 Our Slat Rubber Flooring has been proven to increase comfort, reduce lameness and increase growth in animals. The comfortable surface of the mats are high grip to increases mobility.This will leave the animals safer and also will allow them to eat more and they will have a higher growth rate. 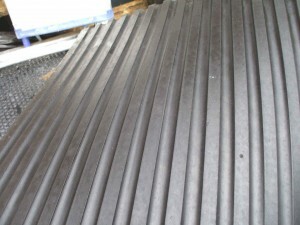 Slat Rubber is designed to improve the welfare and comfort of stock on concrete slats . And in doing so increase milk production in dairy herds and live weight gain of beef cattle . This tried and tested wedge system means that our Slat Rubber is an easy D.I.Y install for farmers. and most aggressive bulls are unable to shift the rubber slat mats when fitted properly. 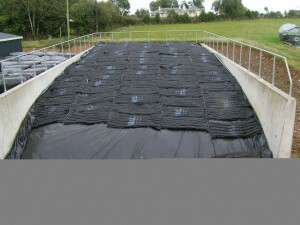 Rubber Slat mats for all Cattle and cows. The double Slat system works great in all types of slatted houses.And is very easy to fit .All you need is a sledge to knock in the blocks between the slats. The mats are in two pieces for the length .If your slat is 12′ 6″ long the slat mats will be 6′ 3″ long. or if the slat is 14′ 6″ the slat mat will be 7′ 3″ long. 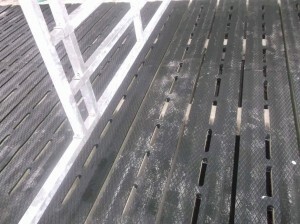 We can also supply rubber mats for the emptying gang slat. 6′ x 3′ 9″ Cubicle mats for €50.00 each including vat @ 23%. Our cubicle mats provides a great value solution to your comfort needs. This standard cubicle mats with its bubble under side, offers a reasonable level of comfort at a basic price.These Cubicle mats are great value for money .The mats are 3′ 9″ wide to suit cubicles and are pre-drilled for to screw down to concrete bed. It is recommended to use plastic fixings with stainless steel screws which will not rust. 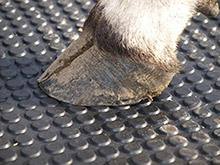 The mats are softer than the normal 6×4 stable mats and have a fine dimple top that will not hold dirt .This mats is very strong and will not wear out for many years to come.The solid rubber mat is also good in that it is not porous and will not hold bacteria.Other advantages are Increased Yields & reduced veterinary costs. When livestock are warm and comfortable they yield better. With the cushioned effect of our Cubicle Mats, you will find a reduction in solar ulcers resulting in less veterinary bills.This mat can also be used for other uses including gyms and work areas for walking on over hard concrete floors. For more information please ring us 0402 34703 Ger. Rubber Cow Mats for Cubicles. STANDARD TYPE COW MATS for cubicles. This is the best value for money cow mat for cubicles on the market . 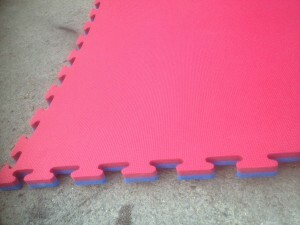 Available in straight edge and interlocking 25mm thickness and are 6’x4′ These mats are very strong and long lasting . And very easy to install The HONEYCOMB under side of the mats allow for extra softness for the cows They have a non slip top surface Cow mats are also non porous which is very important as they will not hold bacteria. This mat is very soft and is still strong and long lasting. Rubber cow mats have a lot of advantagesin cubicles including. This mat comes in a straight edge or with the interlocking sides where the mats can join up. The mats are screwed down on the 4 corners to hold in place. It is best to use stainless screws and plastic fixers for this. 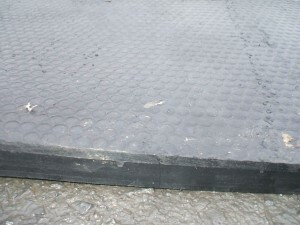 Rubber mats suitable for use with automatic scrapers. High grip penny type top surface. Interlocking on 4 sides for seamless finish. Suitable for use with automatic yard scrapers. A very hard wearing rubber compound. And is still a soft mat. The main advantages of using high grip rubber mats. 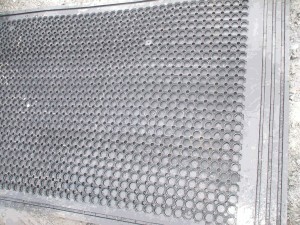 High grip mat, ideal for use in walkways and passageways. Reduces slipping and reduces risk of cows doing permanent damage. Reduces lameness and associated costs (lower veterinary bills, reduced use of antibiotics). Improved heat detection due to more confident standing. Easily power washed for clean environment. mats are comfortable and long lasting. The high grip bottom surface profile will provide unmatched grip. While our ribbed or bubble under surfaces provide high comfort levels. (German Agricultural Society).And has passed their strenuous Signum Tests. Also with ease of installation and grip.